As they draft pension reforms, Kentucky legislative leaders are seeking feedback from various interest groups. Indications are the state’s 138 lawmakers will go to Frankfort sometime in October to vote on changes in state public retirement programs. 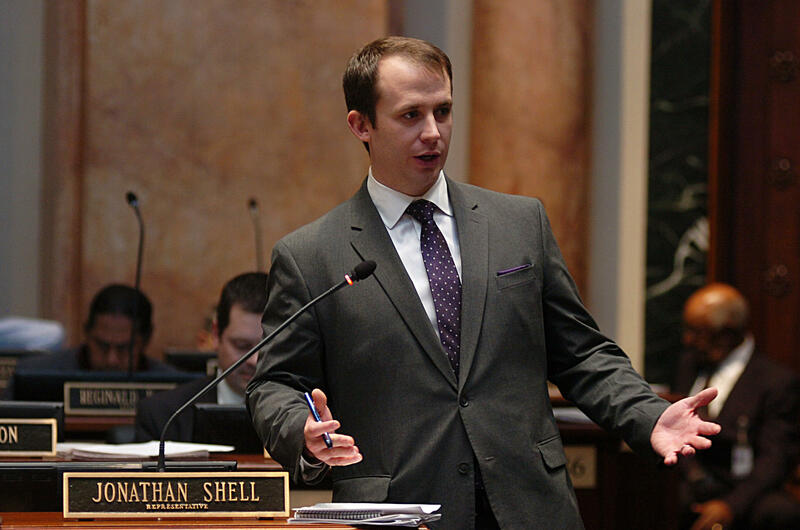 House Majority Floor Leader Jonathon Shell says without changes in law, the state employee retirement system would become a “pay as you go” system within five years. The Lancaster representative says there’s a framework for pension reforms being “shopped around” to interest groups. On the Senate side, Berea Sen. Jared Carpenter envisions buy-in for an end product. Carpenter says enacting pension reforms is the top priority of everyone in the legislative body. He says it’s an issue lawmakers hear about in grocery stores, restaurants and at kids’ ballgames. Rep. Shell and Sen. Carpenter were among the dignitaries attending the ribbon-cutting for the second phase of Eastern Kentucky University’s science building last week.